We offer a comprehensive and personalised Metabolic and weight loss surgery program designed to help you reach your goals. By performing Metabolic and weight loss surgery through keyhole small incisions (laparoscopically) you will recover more quickly, with minimal pain and have less risk for complications. Success starts by learning more about obesity, understanding the risks and benefits of surgery and committing to life-long habits to improve your health. There are two components to the procedure. First, a small stomach pouch, approximately one ounce or 30-50 milliliters in volume, is created by dividing the top of the stomach from the rest of the stomach. 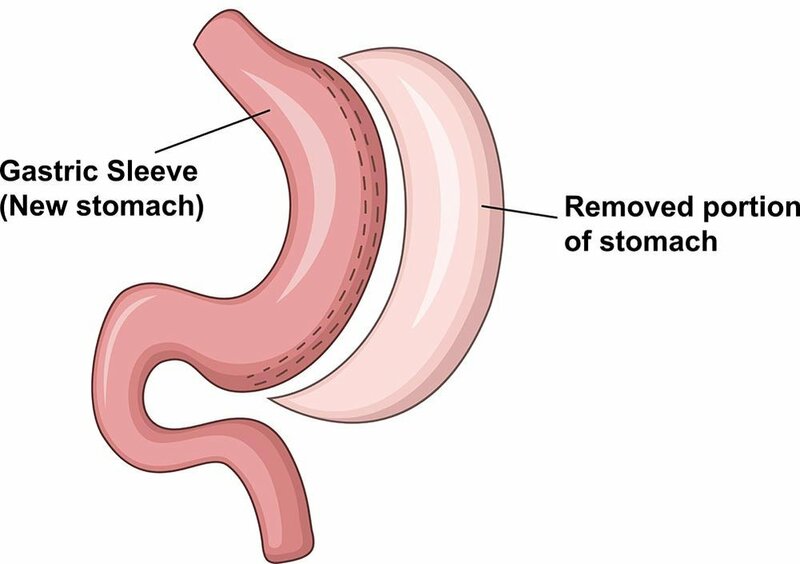 Next, the first portion of the small intestine is divided, and the bottom end of the divided small intestine is brought up and connected to the newly created small stomach pouch. 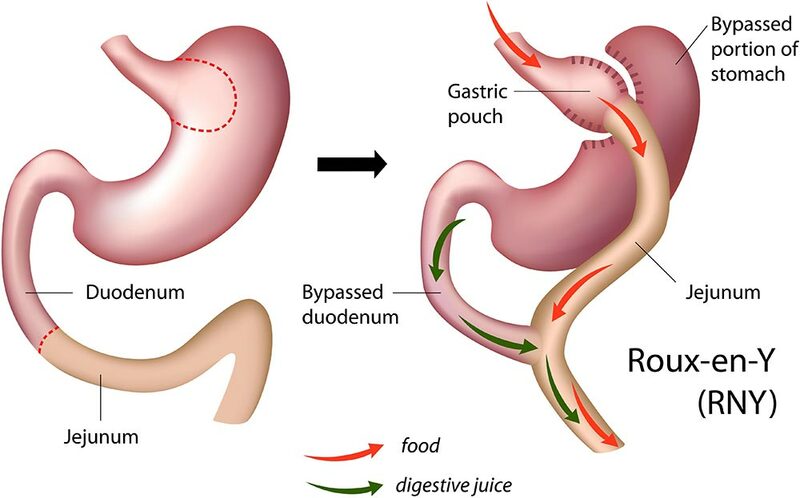 The procedure is completed by connecting the top portion of the divided small intestine to the small intestine further down so that the stomach acids and digestive enzymes from the bypassed stomach and first portion of small intestine will eventually mix with the food. The size of the stomach opening can be adjusted by filling the band with sterile saline, which is injected through a port placed under the skin. This operation is the least favourable procedure of our group, as Dr Niazi believes all of the gastric bands will need to be removed sooner or later!